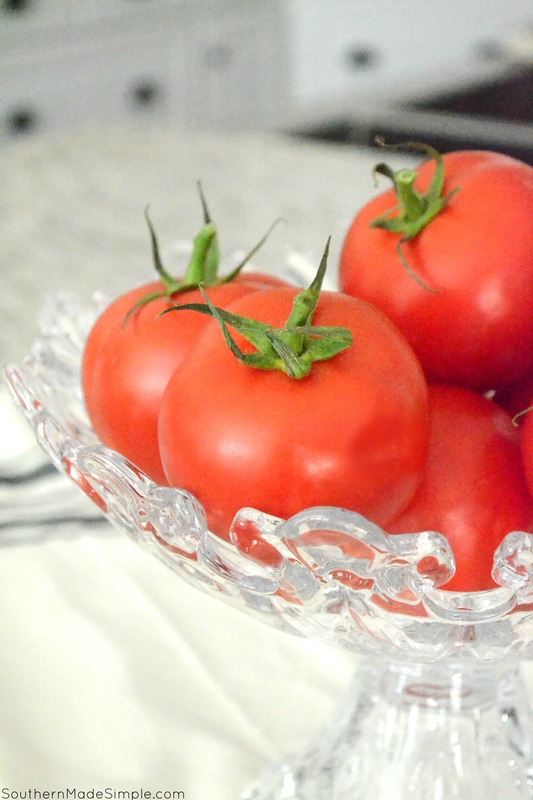 Throughout the entire second and third trimester of my pregnancy, my body constantly craved the juicy goodness of fresh, homegrown tomatoes. Unfortunately, my husband and I were not able to plant a garden like we normally do each year so we could grow our own tomatoes, but we were very fortunate that my mother and several other friends in our community had bountiful crops of tomatoes and other fresh produce that they were more than willing to share with us! During the summer season, it can be easy to get a little overwhelmed with coming up with enough recipes to utilize all of the fresh produce before they go bad. That’s why one of my all-time favorite things to do with fresh-from-the-garden produce is to find a way to “stuff” them to give them a whole new dimension of goodness! 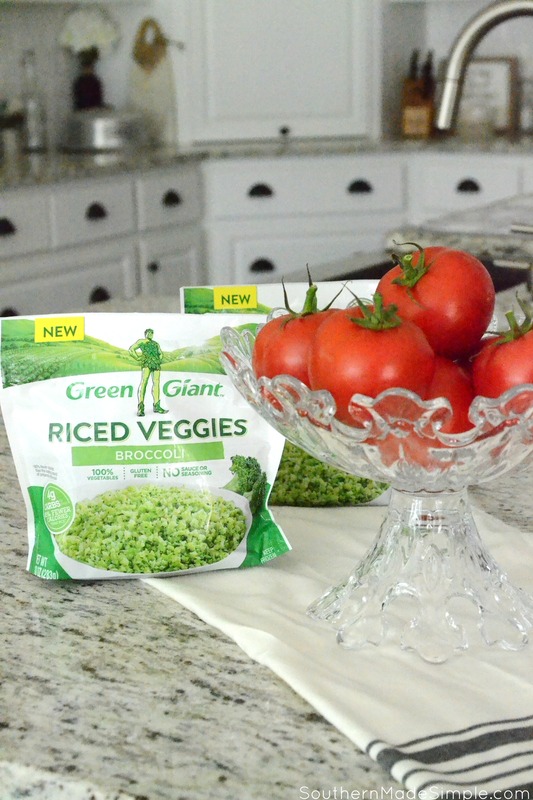 While walking though the grocery store on my most recent trip, I came across Green Giant Riced Veggies (found in the freezer section) that I thought would be absolutely perfect to stuff all of those gorgeous bright red tomatoes with that had been sitting on my counter for a few days. With certain low-carb and low-calorie diets being pretty popular right now, I’ve noticed more and more people choosing to “rice” veggies to use in place of actual rice as a healthier option. Personally, I LOVE the idea of ditching the empty carbs and subbing in real veggie goodness, but the process of ricing vegetables can be quite time consuming and totally messy. 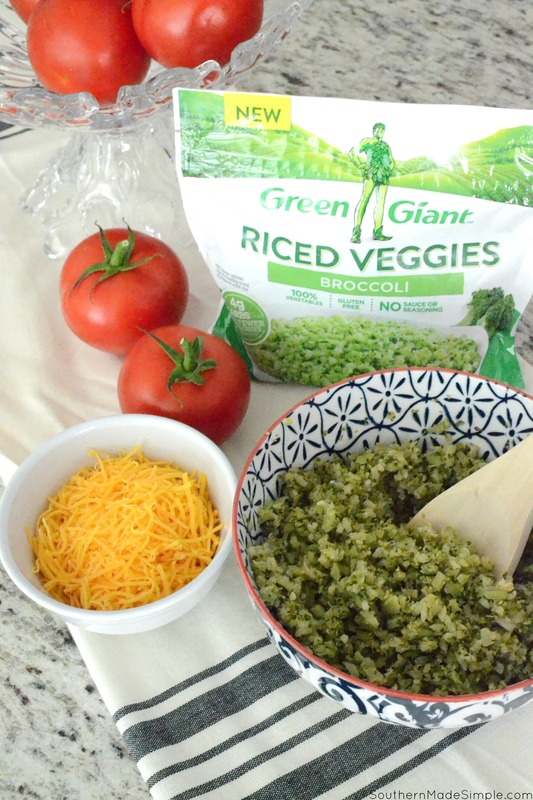 Green Giant Riced Veggies take a ton of the prep work out of the picture when it comes to making delicious meals for the family, as each package goes from freezer to table in just 6 minutes! 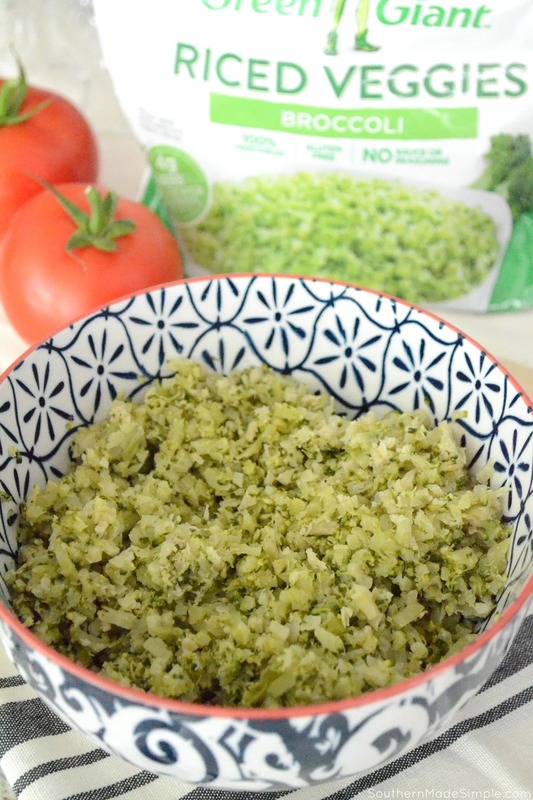 For this recipe, I chose Green Giant Riced Veggies Broccoli Variety. I really love that as it stands coming out of the package, there are no added sauces or seasonings, so you can add as much or as little to the dish as you’d like to get the flavor your’re looking for! This is also particularly helpful for people who are on low calorie or gluten free diets, as so many frozen packaged meals contain additives that people with special dietary needs can’t have. From the moment I saw the riced veggies, I knew I wanted to keep my recipe pretty simple. 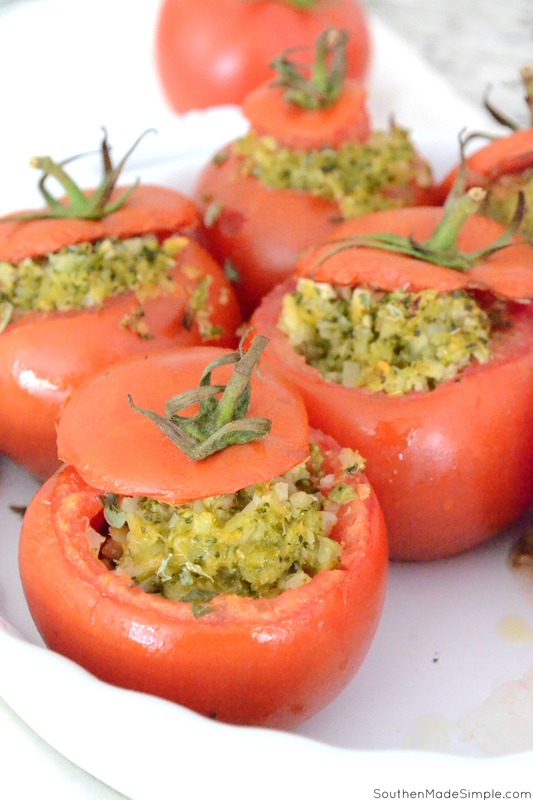 I decided to make broccoli and cheddar stuffed tomatoes as a play on broccoli, cheddar and rice casseroles or stuffed tomatoes. Once the broccoli came out of the microwave, I threw in a little cheese, salt & pepper and basil for seasoning. I LOVE that Green Giant Riced Veggies have up to 85% fewer calories than traditional white rice. After the first bite into these stuffed tomatoes, I definitely did not miss traditional rice at all! Prepping this side dish is easy as pie. While the broccoli was in the microwave, I sliced the top off of each tomato and hollowed out the center with a spoon. 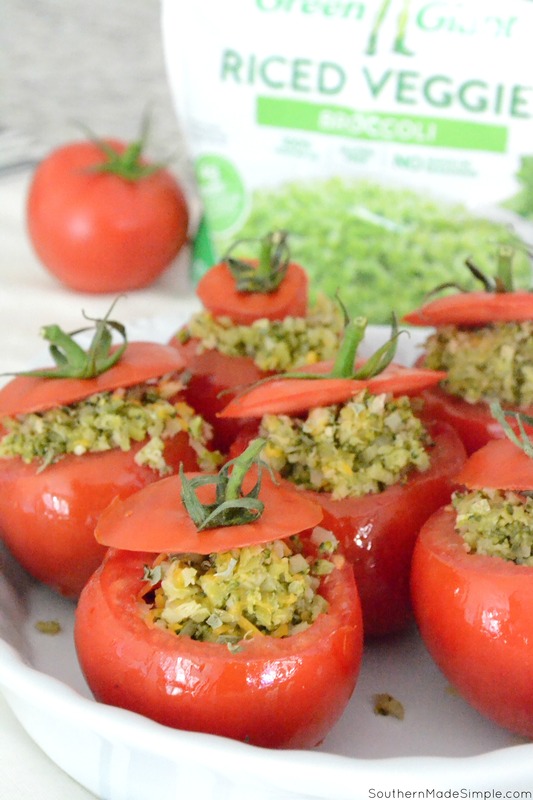 Once the broccoli was cooked, I added in the other ingredients (see full recipe below) and stuffed them into each tomato. 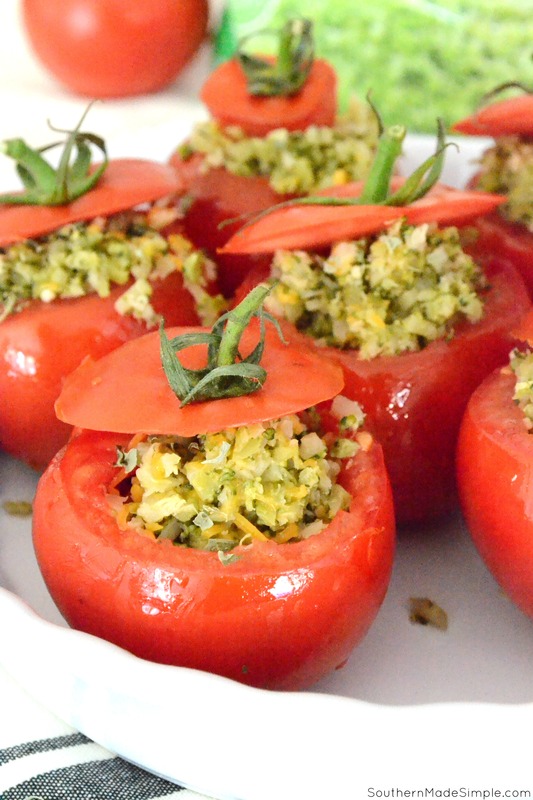 I basted the inside and outside of each tomato with a smidge of olive oil and popped them in the oven until done! Next time you head out to the grocery store, make sure you clip this coupon and take it along with you so you can pick up your own bag of Green Giant Riced Veggies to try! Here’s a free printable copy of the recipe if you’d like to give it a try! If you’re hoping to transition this side dish into something a little more hearty, try adding some shredded chicken or chopped link sausage into the mix to make it a meal! 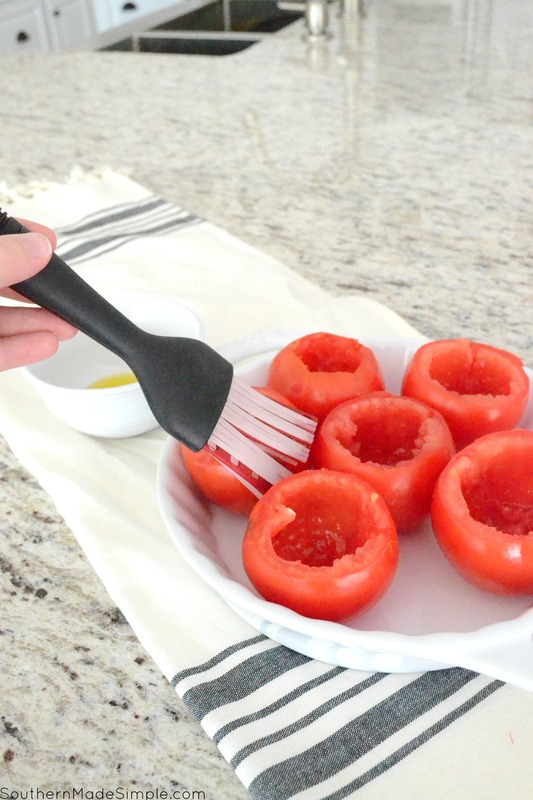 Using a sharp knife, gently slice the tops off of each tomato and hollow out the insides using a metal spoon. Save the insides for another recipe or discard. When the riced veggies are finished, pour them into a mixing bowl and add cheese, garlic, basil together and stir well. Salt and pepper to taste. This side dish screams summertime to me. It’s a perfect way to get lots of veggies in, and it all comes together in about 30 minutes! Next time you’re at the grocery store, look for all varieties of Green Giant Riced Veggies and stock up! They’re so versatile and are amazing on their own or utilized in a recipe like this one! Ten lucky people will win some pretty fabulous prize packs consisting of a $50 gift card and 10 full-value product coupons per person! Just enter using the giveaway widget below. Ends Monday, August 27th. I would enjoy trying the butternut squash. I think the Green Giant® Riced Veggies Butternut Squash would be very good! i want to try the cauliflower and sweet potato, it sounds really good. I’d like to try the cauliflower and sweet potato. I would like to try the Green Giant® Riced Veggies Kohlrabi. Like to try the Green Giant Riced Veggies Butternut Squash. They all look great! But I think I would try the broccoli first. I would like to try the Kohlrabi.